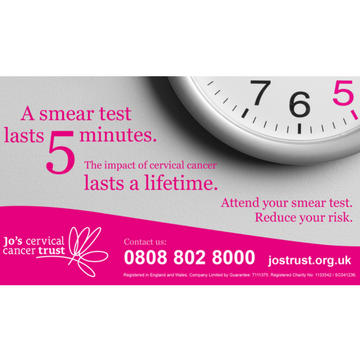 A branded poster encouraging people to go for their cervical screening (smear test). Ideal for use in GP surgeries or at awareness events. For use online – website, social media platforms, etc. Available to download only. If you add this product to your cart, you’ll receive a download link via email. Read more about digital products on our shop FAQs.